Finally… we have made it! Reason number 1 you will enjoy New Deal Festival. 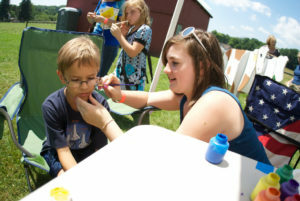 1.Â You will celebrate the unique history of Arthurdale while enjoying a day of fun activities for your entire family. Live music all day, crafts market, antique car, truck, and tractor show, delicious food, kidâ€™s activities, blacksmith demonstrations, new museum exhibits, and more! Come out and celebrate with us this Saturday, July 9. Gates open at 10am. Get your discount tickets now! Next PostNext Thank you for coming out to our 2016 New Deal Festival!